Building a local brand and collaborating business networks is often difficult for farmers, who rarely have a spare moment due to their own business demands. Distribution costs are sometimes prohibitive for small holders and sending produce to a wholesale market is often receives low prices. 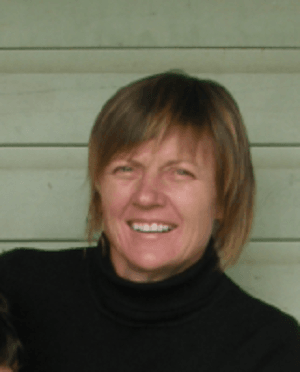 Amanda Craig, the Greater Borders Landcare project manager, noticed that the region had many small holdings, with producers working hard, but not often working together. Bakery products coeme with a 'good morning' smile. Healthy greens and on-the-spot recycling. Amanda applied to Farming Together for assistance to develop regional producer workshops; to bring producers together, to support each other. Farming Together provided an experienced facilitator who had presented similar experiences for small producers from nearby Stanthorpe and Toowoomba. The workshops enabled story-sharing from these Tenterfield niche producers. Most of the 16 producers at the first meeting were small-scale farmers, who had not previously collaborated with others. Attendees included a honey and greens producer, a permaculture trainer, a representative of a bush-tucker co-operative, a representative from the TAFE work-for-the-dole program’s community garden, a truffle producer with a finance background, new garlic producers and a mixed stock and crops farmer also representing some African migrant small holders, keen to participate. The possibility of joint distribution logistics was explored, perhaps via establishment of a co-op and using a transport roster system. Also discussed were marketing activities, a local brand, cross-farm staff, sharing expertise and cross-promoting ingredients. 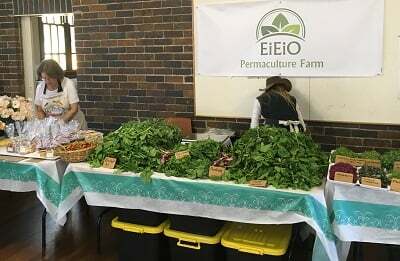 As a result of the workshops, a core group of producers initiated a farmers’ market, with 12 stallholders and a community table for anyone to sell at. 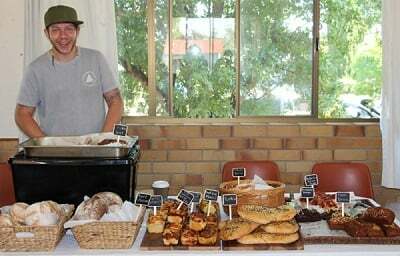 Stall fees ($5 per stand) covered insurance and venue hire. A former chef offered to showcase local meats at a BBQ and also to cook for sale. 2 workshops to facilitate discussion, networking and resource sharing. Since the meetings, the market has grown to 21 stalls and can attract up to 300 visitors on a sunny Saturday. All produce is from the region, including fruit and vegetables, lucerne hay and biofertiliser, bread and baked goods, arts and crafts, plants, and produce from small-scale farmers raising animals ethically. 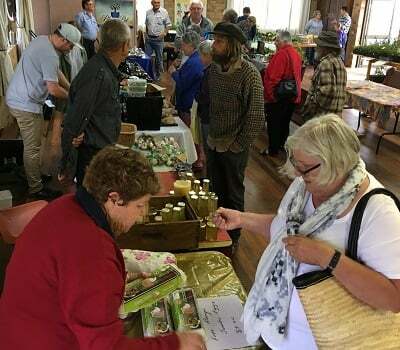 Planning progress has been made for three specific project groups: the farmers’ market (now established as a Tenterfield fixture); a bush tucker wild harvesting group (which has received funding for an education program), and a permaculture nursery. Some members also help other growers by transporting produce or sharing a stall. The larger collaborative group favours the guiding principle of ‘locally produced’ and has begun work on a strategic plan. They are discussing establishing a formal business entity. "We now also have funding to help our farmers and producers with branding, marketing and business direction".